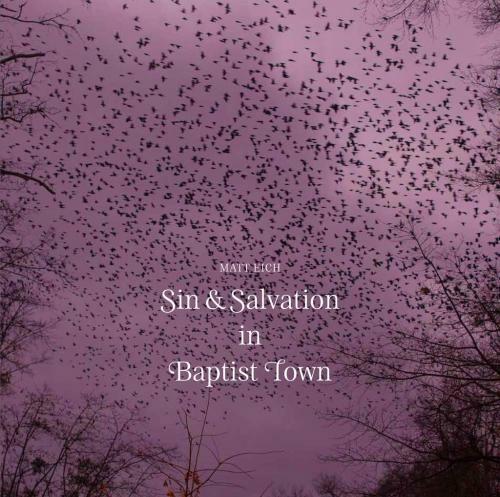 Sin and Salvation in Baptist Town (Hardcover) | Turnrow Book Co.
Matt Eich is a photographic essayist working on long-form projects related to memory, family, community, and the American condition. Matt's projects have received support from an Aaron Siskind Individual Photographer's Fellowship, a VMFA Professional Visual Arts Fellowship, and two Getty Images Grants for Editorial Photography. He is the author of three monographs. Eich was an artist in residence at Light Work in 2013 and is invited to a Robert Rauschenberg Residency in 2019. He has taught photography at Syracuse University, The George Washington University and Virginia Commonwealth University. Matt accepts commissions and resides in Charlottesville, Virginia with his family.